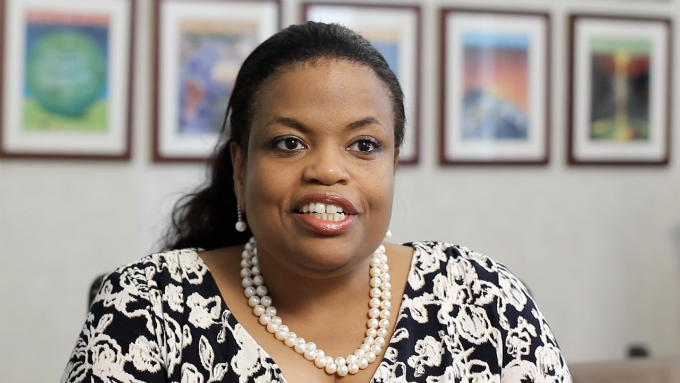 Rosa Whitaker is the CEO and President of the Whitaker Group, a Washington, D.C.-based consultancy specializing in trade and investment in Africa. She previously served as the first Assistant U.S. Trade Representative for Africa in the administrations of Presidents George W. Bush and Bill Clinton. What’s changed over the last decade that’s really breathed new life into the economic relationship between China and Africa? Well, there are two major invents. There was the Beijing-China Fund that was created as part of the summit that China had with Africa in 2006. And also prior to that; the 2000 China strategy encouraging state-owned enterprises to go out and invest, and they incentivized these companies. As a result of these two historic developments, which represented a major economic shift in the world, China has invested more than ten billion dollars in soft loans to Africa. That doesn’t even include the Chinese export-import bank guarantees and other kinds of support that China gave to Africa. We’ve seen also, as a result, a significant increase in Chinese trade with Africa. China has actually replaced the U.S. as Africa’s largest trading partner. In 1999, for example, China’s trade with Africa was about twenty billion dollars; it’s now about a 170 billion dollars. That’s a major, major development. Why does China view Africa as such an important place to spend its economic power and might? I think that China is definitely looking at their industrial development needs. Africa has strategic minerals, resources, and raw materials that China absolutely needs; whether you’re talking about copper, iron, ore, or oil resources. And China has gotten access – many would argue preferential access – just by the sheer amount of investments they’ve put into the region. I think that’s one of China’s main goals for being there. But also, I think that China also kind of recognizes Africa’s importance politically. Africa dominates proportionally the number of seats in the United Nations and the World Trade Organization; so when you look at a global political agenda, Africa is strategically very important. Also, I think that China is rightfully seeing Africa’s vast consumer market. They’re selling a lot of products in Africa. In 2020, you’ll have about a billion African consumers spending about 1.4 trillion dollars, and this is something we should be taking note of in America that China has captured. China is also providing the Chinese companies a lot of projects that are very much needed in Africa; infrastructure projects, for example. Now, that serves to help everyone, including American investors that want to do business in Africa. Beyond natural resources and infrastructure, are there other big sectors where China is getting more active these days? Well, China is getting much more active in the consumer market. They’re producing cell phones, mini-cars, and apparel. So they’re producing a large number of widgets and consumer products. We’re seeing that develop in Africa by Chinese companies. What about regionally or on a country-by-country basis? Are there areas in Africa where the Chinese are more active than others? Or are there countries that are hot spots to invest? Yeah, we will see most of the Chinese companies are active in the African countries that have natural resources. Whether it is oil, gas, copper, iron, ore, or minerals – now rare earth minerals – that’s where you will find the majority of Chinese companies. But they are expanding, preparing for this burgeoning middle class that’s emerging in Africa with a lot of consumer money and resources. I think that China is now expanding its trade, expanding its investment portfolio and focus. A lot of people have been critical of China’s role in Africa and the impact it’s having on some of the citizens in some of these countries. What do you see as the short-term and long-term impact of Chinese investment on some of the African countries themselves? Well, I think that it could be a good thing and a bad thing. I think in some ways the Chinese investments – if we look at some of the investments China has made in infrastructure – that is a good thing, because some of the infrastructure projects, quite frankly, in Africa are not “bankable” in a conventional Western sense. So China has come in to build this infrastructure with support from their governments – companies have built this infrastructure – without a lot of regard to profitability. Now American investors can utilize those same roads to get their products out in Africa, and the same infrastructure to also do well in Africa. I think that is where China needs to play a better role, in it’s sometimes disregard to the government issues and the transparency issues; the issues around democracy or issues around human rights. If you look at the contrast, America has really made political concerns the center of its focus in Africa, and China has made its economic interests the focus of its policy in Africa. And I think it would be good for the U.S. and China to both move to the middle a bit, and to have a more broad-based approach. I’d like to just follow up on that and maybe move a little bit more on to U.S. economic interests in Africa. We’re in a period here, in summer 2012, where the U.S. is really revisiting its Africa policy across the board; whether it’s the promotion of democracy, whether it’s going to renew AGOA or some of these high-impact economic programs that have been largely successful in recent years. Is the U.S. on the right track to compete with China? What could we be doing better? I think we’ve done well with the African Growth and Opportunity Act, which has resulted in a significant increase in African exports to the United States. That was a good policy initiative. Since that Act, I think we’ve done, quite frankly, very little. What we really need to do, which would help American and Africa, is to incentivize U.S. companies to do more. Now, Durban and Congressman Smith, they have legislation that would help do some of that. They call for a 200% increase, in fact, of American exports to Africa. They are, in that legislation, asking for more support for the U.S. EXIM (Export-Import bank of the United States) bank and the U.S. OPEC (Organization of the Petroleum Exporting Countries). We need to strengthen these institutions that help American companies do business in Africa. We also need to strengthen AGOA (African Growth and Opportunity Act) and recognize that we got the trade effect of AGOA, but it did not spur U.S. investments in Africa. I think we ought to, as a part of AGOA or another measure, look at tax incentives for U.S. companies. I think if we were to say that U.S. companies could invest in sectors in Africa with a significant development dividend, those companies would be able to repatriate their profits to the U.S., tax free. That would help a lot. If we were to have a tax incentive for U.S. companies, say for example, retailers, that source products with significant African content, that they would get some kind of development credit, a development tax credit. I think if we were willing to open up our tax code, and I know politically this may not be the season to talk about this, but I think it would be very beneficial for U.S. companies. I think that we would see a significant development dividend in terms of mutual beneficial investments in Africa. After all, we really must engage Africa in a very robust way. Six out of ten of the fastest growing economies in the world are in Africa. If we see the global economic growth in the world, it’s coming from emerging economies like Africa. I mentioned earlier about that 1.4 trillion dollars in consumer spending that’s coming out of Africa in about 2020. China is seeing this, and I think we may be missing it by not having enough incentives. There are areas where, when I look at what Africa needs – even in terms of technology, influence, health care systems, consumer products – these are areas where America leads the world, and we certainly could be doing better. It is not a good thing, in my view, that China has replaced America as Africa’s largest trading partner. How will the global economic situation impact Chinese and U.S economic interests in Africa? We probably will see the Chinese slowing down of state-owned enterprise investments in Africa. It just has to slow down at some point. But what will replace those investments, I think, are private Chinese companies; Chinese families now residing in Africa and bringing family investments in. I think that as the labor costs in China rise, some of those industries, such as the garment industries and manufacturing sectors; we will likely see some of those industries migrate to Africa, which would be a good thing in terms of job creation. But also as the euro crisis; as China contracts economically and as domestic demand contracts, it will be very difficult for Africa to expand its exports. Africa will really have to be much more competitive in the products it produces and more competitive globally in the world economy in order to sustain any kind of growth in the region. And as we see the U.S. economy contract, it will be very challenging for Africa as well. You touched on the subsidies and encouragement of the private sector, but what advantages does China have over other more democratic economies in terms of facilitating more economic investment in Africa? Well, I think that the Chinese certainly have the advantage of being the companies heavily subsidized by their governments. I think on the U.S. side, we can counter that, not with the level of subsidization, but some incentives that we can put in terms of a policy framework. I think the Chinese just have the ability to move very fast. They move very quickly, they understand the African markets, they don’t need to be convinced, and they’ve been encouraged by their governments to go out. We’re in a period where we are not encouraging our companies to go out and we are not incentivizing our companies in America. So I think there has to be a lot of broad awareness around the benefits of investing and enhancing our economic relationship with Africa.